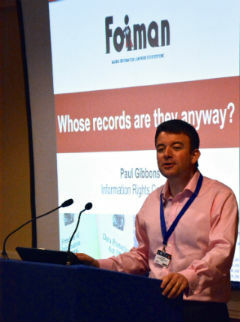 FOIMan writes about recent research on FOI and parish councils in England and Wales and considers what lessons it provides about FOI in general. 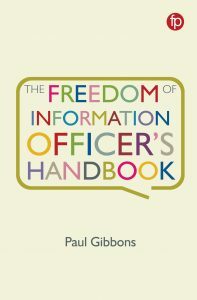 We all have our own preconceptions about FOI, but when it comes to convincing the decision makers, having good solid evidence from academic research has proved invaluable. Both the recent FOI Commission and the post-legislative scrutiny conducted in 2012 were swayed by this kind of evidence – in many ways it could be said to have saved FOI. Thankfully, neither the Commission nor the Justice Select Committee had had enough of experts. Probably the most prolific of academic researchers into the UK’s FOI legislation and its impact has been Dr. Ben Worthy, formerly of UCL’s Constitution Unit, and now lecturing at the University of London’s Birkbeck College. Previously he has turned his attention to central government, local government, the Houses of Parliament and universities. Together with academic colleagues he recently turned to parish councils. devolution doesn’t always help improve public services, at least if FOI is anything to go by. 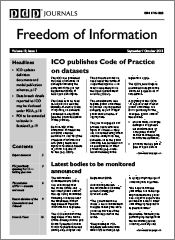 You can read the research paper yourself if you want, or if you prefer a shorter summary, my latest article for PDP’s Freedom of Information Journal provides just that and also adds some colour with some decisions of the Commissioner and Tribunals that provide anecdotal support for its findings. In addition, Ben himself wrote a blogpost summarising the research earlier in the year. Incidentally, if you enjoy my piece on parish councils, I’ve added a new page to the resources section of the FOIMan site where you can access all my articles for the FOI Journal and for other publications besides. Keep checking back as there will be further articles to come later this year.